It's no secret that I'm a huge fan of Lucy Maud Montgomery and all of her works. My favorite of all of her characters is Anne of Green Gables, however I have read everything that she has written and delight in each book or story individually. Lately I have been receiving e-mails asking me questions about Montgomery and I thought it might be time to provide a list of resources on Montgomery for those who are looking. Certainly I've had to do a bit of hunting and browsing myself for information about her. I'll try to make it a little easier for you. There is, of course, a lot out there on the web. What I have endeavored to do is list only the best, most informative sites in this post, eliminating little "snippets" of information to save you time as you learn more about the woman and her works. Certainly, if you have a desire to really get to know Montgomery at all, you should make some time to read a thorough biography of her. You can read my review of The Gift of Wings to see what I thought of it. 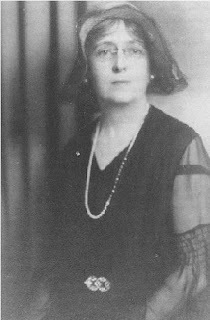 This biography was written by Mary Henley Rubio who is the editor of Maud's diaries. Rubio did an excellent job researching Maud's life both on paper and by personally interviewing many who knew Montgomery. There is a great deal of merit to reading Montgomery's journals also, however, as Rubio pointed out in The Gift of Wings, Montgomery recopied her diary in 1919 and frequently wrote her entries in retrospect of the events that happened in her life. In other words, the journals are a bit tainted by Montgomery's emotions or post-reflections. The Gift of Wings gives you some history behind Maud's journal entries and helps you get to know the people that were a part of her world. You can purchase Maud's journals on Amazon although they are harder to come by these days. For a quick online biography of Montgomery, Wikipedia really is the most up-to-date. To view a timeline of events that occurred in Montgomery's lifetime, visit this site. Of course, sadly, now we know that Montgomery's life likely ended in suicide. 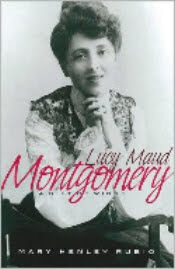 Here is a link to my post, "Did Lucy Maud Montgomery Commit Suicide?" Here is a direct link to an article written by L.M. Montgomery's granddaughter. On a happier note, do you ever dream of going to Prince Edward Island? Perhaps you've already been. In my opinion, in order to know Montgomery, you have to know about the place which most inspired her and her writings. I went to Prince Edward Island some time ago and I remember when I was going that it was hard to find good information about the Island to know what was a "must see." I purchased one book in advance and it did not fail me. I love it! Maritime Provinces Off the Beaten Path was how I found out about the West Point Lighthouse and Dalvay-by-the-Sea. The best thing that my friends and I did while on the Island was we traveled around to visit as many lighthouses as we could. Fantastic place. I truly long to go back because the beauty of the island is positively overwhelming. Visit An Island Sparrow to get a feel for how one Islander lives. Kathy is an ameature photographer and most of her blog just represents the beauty of her life and the beauty that she finds on the Island. Browsing her blog is both peaceful and inspiring! Another great website that will give you driving/travel recommendations to the Island can be found on Ingleside Impressions. Also, if you are planning to visit the Island, a fun book to pick up in advance is Legends of Prince Edward Island, by F.H. MacArthur . This book contains 59 stories depicting the lives of Islanders before the Island was connected to the mainland and it is fun to start getting a feel for the history of the Island before arriving. 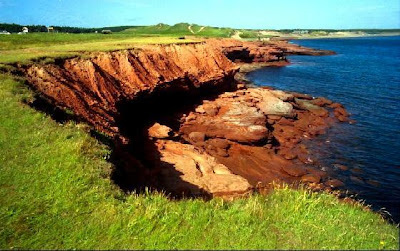 Click here for Anne's Tour of Prince Edward Island. You can learn more about her home in Uxbridge (her first home with husband Ewan MacDonald) by visiting the The Official Township of Uxbridge's website directed to the Leaksdale Manse. Below is a picture of the manse. As for her writing itself, she was quite prolific. Her family was financially sustained by Montgomery's weilding of the pen. Without her royalties, they would have had a hard time suriving, as would a great number of friends and relatives who borrowed money from her with some regularity. Montgomery unfortunately seemed to lack judgement in who to loan to and was very seldom repaid. To view a list of all of Montgomery's writings, click here. This is the most comprehensive list of Montgomery's writing that I have found online. 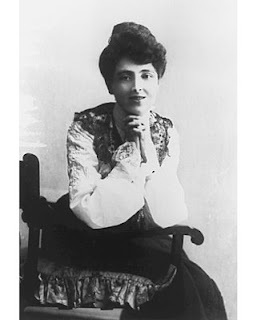 Of course, a great time to familiarize yourself with Maud's writings is by participating in the Lucy Maud Montgomery Reading Challenge which is hosted here at Reading to Know every January. This list is not comprehensive, but hopefully it gives you a good start and pushes you towards the better resources. If you know of a site with good information about Montgomery or any particular aspect of her life, do let me know and I will add it to this list. WOW! I think for Christmas I'm asking for some "new" books! Thank you! I just want to thank you! all this talk about Montgomerey and Anne of Green Gables motivated me to check out Anne of Avonlea from the library. I am enjoying her writing so much...I will have to continue reading more. Thank you for sharing your love for this author! What a list! Great job, Carrie! Thanks! Thank you for this comprehensive information about Lucy Maud Montgomery. She is one of my favorite authors and going to her "island" was an amazing experience. Delights like, staying at Dalvay-by-the Sea in the old home and having tea by the lake overlooking the ocean. Then riding bikes through the woods and actually seeing babbling brooks. I have most of her books and I read her diaries frequently. She was a fascinating person. Hi Carrie - Just catching up on some of my blog reading and wanted to say thanks! for your kind words and link. And now I'm off to check Ingleside Impressions.